Sometimes God inspires my writing by an almost vision-like quality when I read a concept or verse ... and sometimes He does it by hammering me with the same verse so many times I can't ignore it. 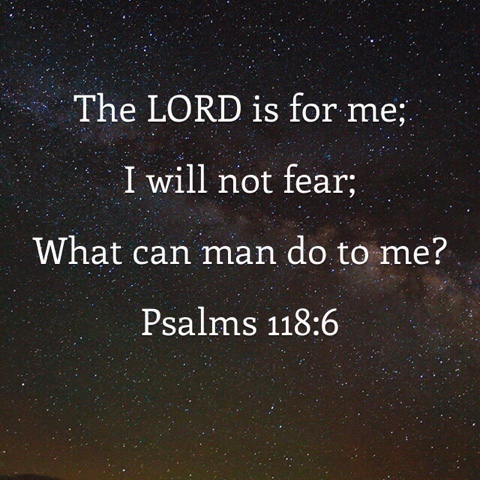 That has been Psalm 118 for me. It has come at me from so many different places that God's breath behind it is undeniable. It is such a versatile Psalm. It gives both reverence and thanks to the Lord. It reviews history about the past and gives prophetic glances into the future. Yet it reads like a prayerful song. 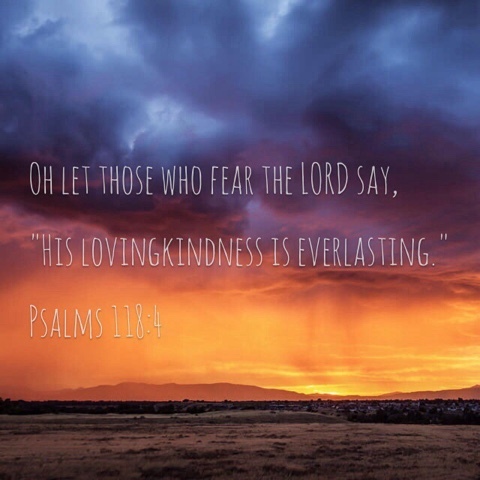 The first four verses extol the lovingkindness of the Lord. Some translations read "stead fast love" and repeated that it lasts forever. We can trust the Lord to show us an unchanging love that doesn't end. We should praise Him for this impossible love that only He is capable of! Even when we don't understand it and our circumstances could lead us not to believe it ... thanking Him for who He is and always will be helps refocus our hearts in times of trouble. Having established His limitless love ... we can look at those circumstances and realize that we have nothing to fear. We have refuge in an endless, powerful God who loves us. Thank Him, praise Him, and scoff at life's problems no matter how large they loom. What can man ... or illness ... finances ... what can anything to do me that He doesn't allow? The Psalmist recalls being surrounded ... ringed by enemies like a ring of fire, like a swarm of bees. 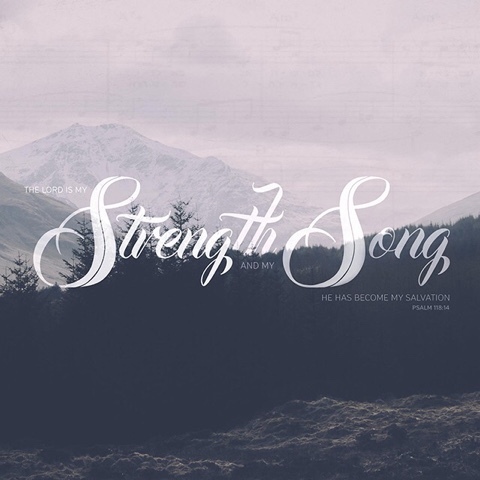 But his confidence in the Lord fuels his strength and gives voice to a song ... and he finds victory rather than defeat. Dear friend ... whatever we face in this life, we know because God has told us that we will experience His victory. The Lord, in the end, will not be defeated. Hallelujah! 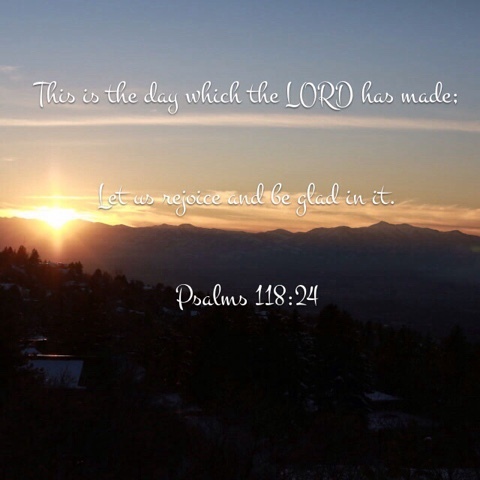 Even recalling discipline, the Psalmist rejoices and tells what the Lord has done for him. Sometimes we bring our circumstances on ourselves and because the Lord is Holy, His hand will come down. Severely the author says. He disciplines us because He loves us and we obey Him because we love and trust Him. There will be joy in the homes, the sanctuaries, the fields of the righteous indeed. When we are doing His work our hearts will sing. He will become both our righteousness and our salvation - isn't that worth thankful praises? Sweet prophecy. So many love what I now know is called eschatology ... the study of end-time prophecies. While I am interested in what has not yet come to pass, I love to study past prophecy from this side and see what the Lord has done. 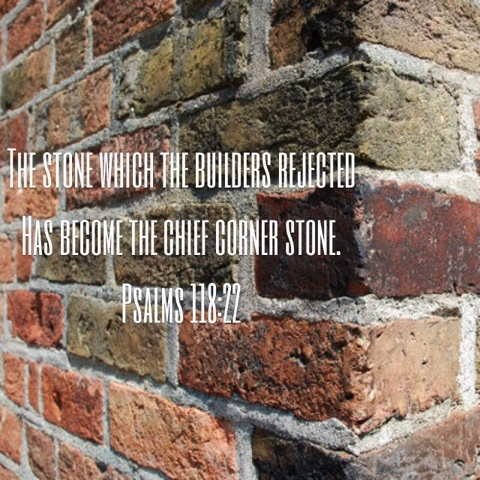 The cornerstone that was rejected ... Jesus rejected by the very Israel He was sent to save. He is the cornerstone of ALL salvation. The LORD is GOOD and history tells of His power, His goodness, over and over and over. I may not understand eschatology but I know it probably won't look like what we think it will and that it will be awesome. Mind blowing. Even the angels will fall slack-jawed on their faces "Oh, THAT is what you were doing!" For all these things and more, let us thank the Lord for this day. Each day. God made them all. Those days when you wake up and don't feel thankful or joyful or like there is anything Holy in the world ... He even made those. REJOICE! Be glad; be thankful! The Lord who spoke the universe into existence also made this day. Nothing He makes is insignificant. Nothing He does is without purpose. And we end where we started. A beautiful repetition. Keep on giving thanks. The Lord is GOOD. His unfailing love will never stop. So keep expressing gratitude for it and looking for the ways He loves you every new day.